Although freshened for 2015, Toyota’s smallest car was last redesigned for 2012. 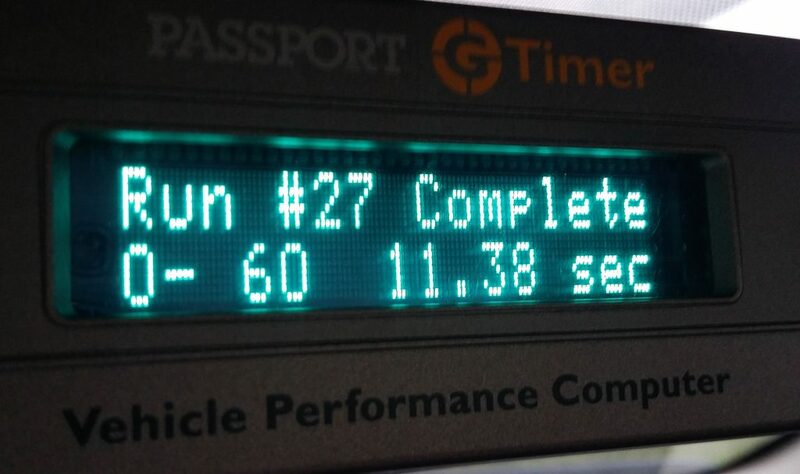 That’s a long run by current standards, and the Yaris is showing its age … though that’s not entirely bad. The top-line Yaris SE makes its mark with a rear spoiler and 16-inch alloy wheels not offered on the midline LE. 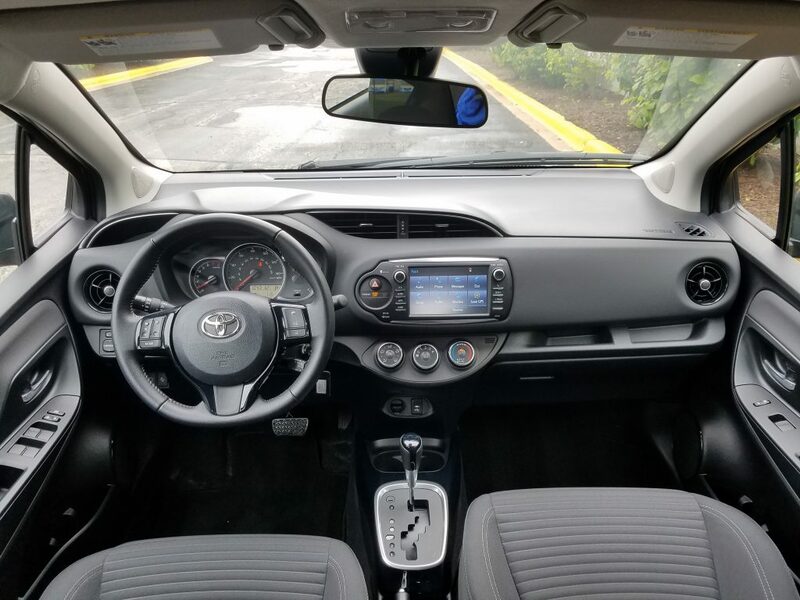 For instance, while many newer cars carry somewhat complicated infotainment and climate controls (some seemingly for the sole purpose of appearing modernly “techy”), those in the Yaris are refreshingly simple. The audio system in the tested SE has volume and tuning knobs along with eight physical buttons (and includes a CD player, a disappearing feature), while the climate system is adjusted with three rotary dials, all controls being placed within easy reach. And though the automatic transmission in our tester was an “antiquated” 4-speed unit (most rivals now have 6-speed autos or CVTs), it kicked down quickly when the throttle was stabbed from speed for decent around-town response. Furthermore, it adds just $750-$800 (depending on trim level) over the base 5-speed manual transmission, less than the “automatic” upgrade in most rivals. Still, the Yaris seems a bit behind the times in some other areas. Even our top-line SE lacked a telescopic steering wheel (though it did tilt), the aforementioned 4-speed automatic doesn’t do anything for acceleration or fuel economy, and you can’t get some of the high-end features that are available in many newer class competitors, such as Apple CarPlay or Android Auto. 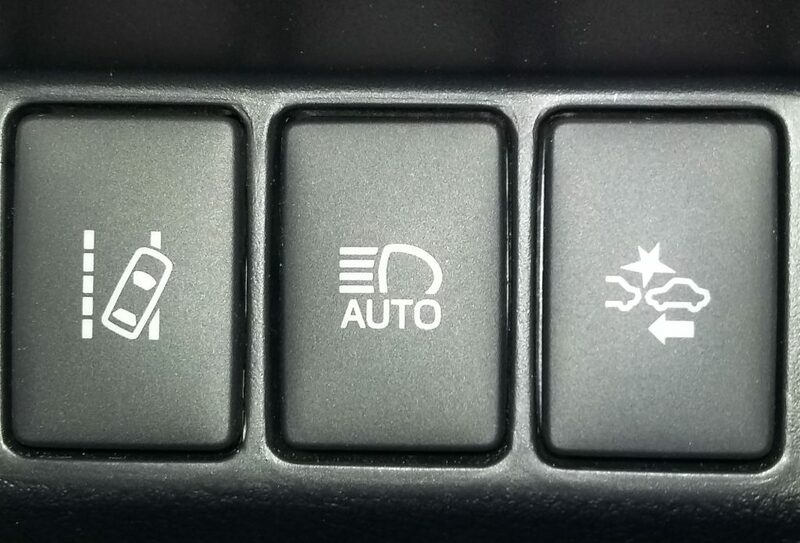 What you can get, however, are some modern safety features. And best of all, they’re standard even on the base trim level, which — with manual transmission — starts at about $16,500 including destination. Three handy little dash cubbies (upper left of the steering wheel and two over the glovebox) add to what is otherwise just mediocre cabin storage space. Materials are also mediocre, and there’s little contrast to the all-black interior. We missed having a telescopic steering wheel, but really liked the simple audio and climate controls. Although it comes with a decent list of features, even the top-line SE is far from “loaded,” offering equipment similar to that of many midline rivals. Added over the LE are a 7-inch touchscreen (vs. 6.1-inch), a rear spoiler, and a “sport” suspension with 16-inch alloy wheels vs. 15s. Averaging right about 11.4 seconds 0-60 mph, the Yaris is no hot rod, but fares well enough in typical city driving. Those last two items might not be the benefit they may seem. While such small, light cars rarely ride very well, the SE seemed a bit stiff and “hoppy” over bumps, and the larger wheels and tires add nearly five feet to the turning circle, which often surprised as being wider than expected. Acceleration is fine in normal driving, but it took about 11.4 seconds to reach 60 mph, hardly a great showing for the class. Furthermore, the engine gets noisy when worked, wind and road noise are noticed at highway speeds, and one tester noted that “the automatic transmission more than once was momentarily paralyzed in situations where the driver let off the accelerator, then had to get right back on the gas.” And though fuel economy worked out to a pleasing 31 mpg, that was in mostly highway driving, and the Yaris’s EPA ratings lag those of its larger Yaris iA sedan sibling (formerly Scion iA) — which is a bit heavier and has an engine of the same displacement — by 2-5 mpg. 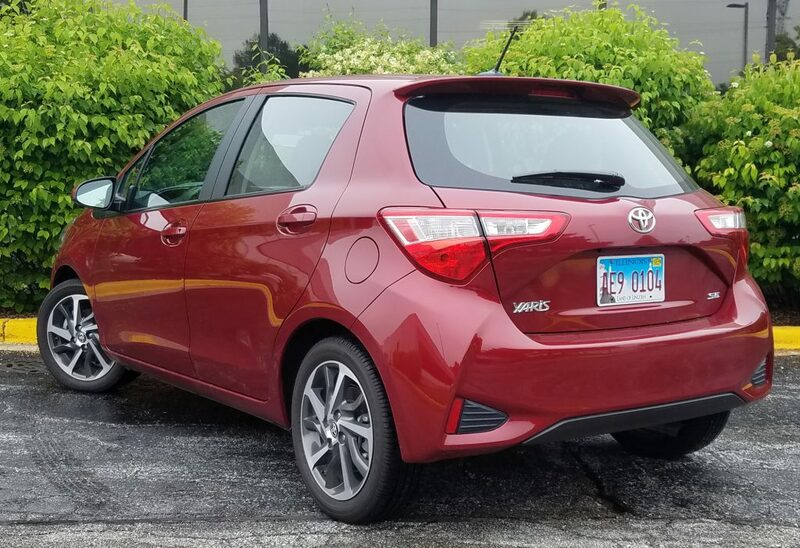 Highlights of any 2018 Yaris are the standard lane-departure warning, automatic high beams, and forward collision warning, any of which can be turned off with the press of a button. For such a small car, though, the Yaris has a decent amount of interior space, offering good room for four average-size adults. As mentioned, drivers don’t get a telescopic steering wheel — which some of our testers missed — but shorter ones will appreciate that the seat can be raised very high. Also noteworthy are that the large rear doors that make it unusually easy to get in and out of the back seat. There’s also a decent amount of cabin storage. Though there’s no console box (the car is likely too narrow to have one of much use), there are three handy bins in the dash, a moderate-size glovebox, and a good-sized forward console bin under 12-volt/Aux/USB plugs. 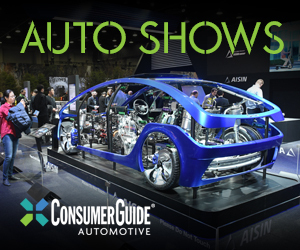 Visibility is OK to the front corners, good to the sides, but not so good to the rear corners — though the standard rearview camera helps, and includes dynamic guidelines that show your intended path based on steering-wheel angle. 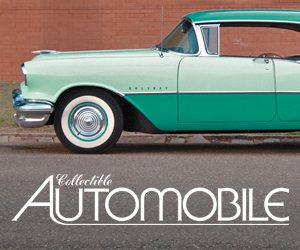 Interior materials match the car’s low price. 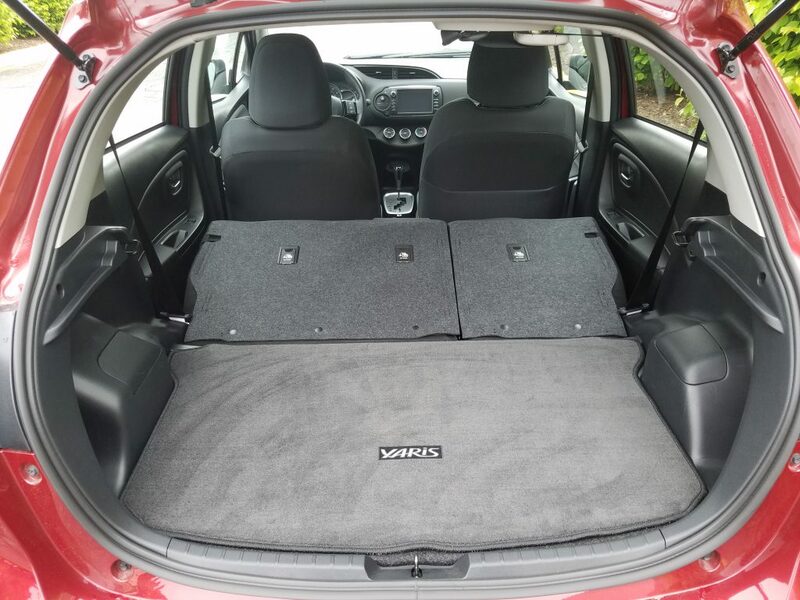 The cargo area is nicely cubic, and the rear seat backs fold nearly level with the cargo floor. However, it may be necessary to remove the headrests to do so, and there’s little added storage under the floor. Cargo space in back is good for a car of this size, though mostly due to the squared-off rear roofline and hatchback handiness. While the rear seat backs fold level with the cargo floor, you may have to remove the headrests to do so if the front seat is pushed very far back. There’s also no “official” under-floor storage, though there’s some space to stash stuff inside the spare-tire well. By our count, there are only three current cars that are shorter than the 155.5-inch-long Yaris (Chevrolet Spark, Mitsubishi Mirage Hatchback, and the electric-only Smart ForTwo), making it a strong choice if you have to parallel-park on city streets. But particularly if those streets are as bumpy as those here in Chicago, we’d recommend an LE (which — among a few other things — adds cruise control and remote locks over the base L), as it should ride a bit better and certainly has a tighter turning circle than the tested SE. If you’re looking for a “gussied up” small car with all the latest gizmos, this isn’t it. 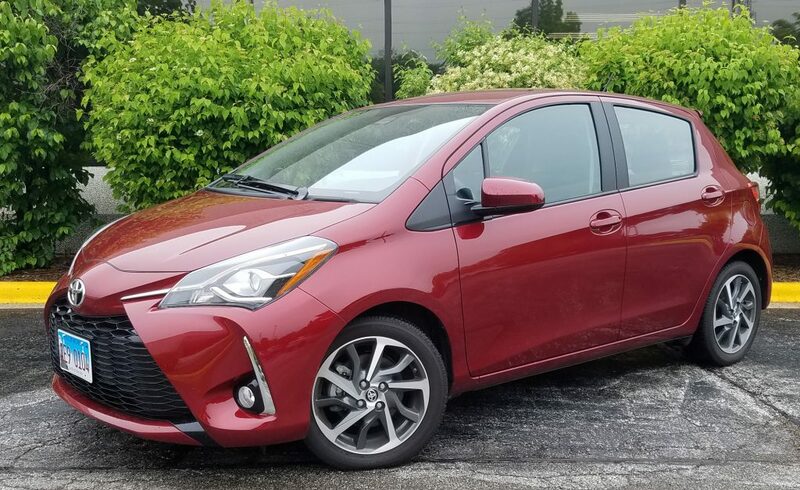 But the Yaris is an inexpensive little vehicle with valuable safety features and a solid reputation, which should be more important to those looking for good, basic transportation. The stubby little Yaris works best as a “city car” for those looking to get a good, basic vehicle for a budget price. Written by: The Daily Drive staff on July 3, 2018.